As parents, I think we can all agree that changing diapers is the worst part of having a child. Storing those diapers can become an even bigger issue if you don't have a bin that eliminates smells. 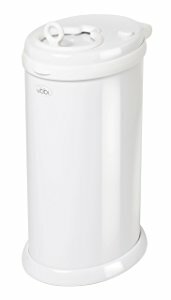 If you don't want to spend all day walking backward and forwards to your garbage bin outside, you need a diaper pail. There are many brands to choose from, each with their own features to ensure you can safely and hygienically dispose of your baby's diapers. So, if you’re looking for ways to save your home from the smell of dirty diapers, consider one of my favorite diaper pails below. If you're not sure what you are looking for when it comes to diaper pails, read through my complete buying guide to diaper pails, which offers a step by step guide for everything you need about purchasing a pail that will suit your needs. Here are my top five favorite diaper pails that will freshen up your baby's nursery. This pail is one of the highest quality diaper pails available today. 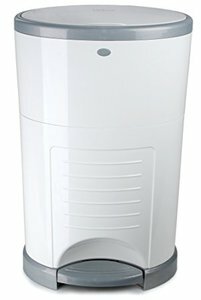 The Munchkin Diaper Pail uses patented STEP technology to lock in smells and odors, so you can enjoy a fresh smelling nursery. This pail has a self-sealing lid, locking in smells automatically, so you don’t have to worry about any smells filling your baby's nursery. The bag system is completely universal, so you can purchase whichever bag you like, and you never have to worry about buying the wrong type. The pail is operated using a single foot pedal located at the bottom of the bin, keeping things clean and hygienic. What's Great About It: For every pail sold, the Munchkin diaper pail company plants a tree, giving back to the environment that your children will grow up in. The PlayTex Genie had recently updated their design so your pail can seamlessly integrate into any room in the house. To complement this, the pail is available in five colors, so you can choose the one that suits your decor. Utilizing Odor-Lock Technology, you can feel secure knowing that no smells will escape. Inside the pail you’ll find an innovative carbon filter, which locks in odors so you can keep your environment clean and sanitary. The lid creates an airtight seal, and the sleek design has a foot pedal at the bottom of the pail, so you can easily dispose of diapers. What's Great About It: The front of the bin is tilted slightly forward, allowing you to slide the bag out effortlessly. 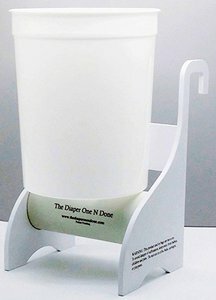 The Dekor Diaper Pail is an affordable mid-range diaper pail that boasts a completely hands-free experience when disposing of your baby’s diapers. Simply step on the durable pedal at the base of the bin, drop in your diaper and walk away. The bags used in this bin are specially designed for use in this particular bin, and the refills are very reasonably priced. The pail is made from high-quality, durable, closed-cell ABS plastics, a material that works effectively at stopping smells and odors inside the bin, but also makes this bin one of the most lightweight solutions on the market. What's Great About It: Once your baby is no longer using diapers, this pail can easily be used as a trash bin for any room in the house. 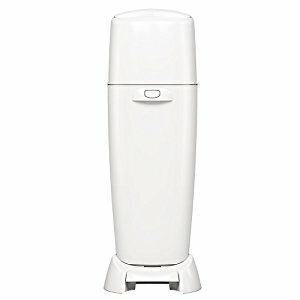 This diaper pail is one of the more expensive options available, which offers many features, making it worth every cent. This pail can be used with any refill bag, and as there’s no foot pedal on this design, you can easily set up this pail wherever it’s most convenient for you. Since the pail’s body is made predominately from steel, it’s slightly heavier than some of the other pails on this list, but you’ll get to enjoy full odor protection that it offers. An updated design from a previous model, this pail now boasts an improved bag holder system, minimizing the risk of the bag tearing when taking it out. What's Great About It: This pail prides itself on its childproof design, allowing you to rest assured that your child won't accidentally tip out the contents of the bin. This is one of the more affordable diaper pails on my list, and is ideal for budget conscious parents. The pail is easy to use, and you can place it anywhere you need to. You can also hang it on a wall or chair with the handy hooks located on the back of the design. The base of the pail is slightly raised and there is no pedal, so you or your child can't accidentally step on it and release any odors. The pail is operated by wrapping each diaper in a protective bag and dropping it in the pail, ready to be emptied later. What's Great About It: This is one of the simplest pail designs on the market. With the ability to be placed anywhere, this design is great for parents on the go. More in Diapering: What are the Best Overnight Diapers for the Money? If you’re not sure how to find the ideal diaper pail, take a look at my buying guide below to make sure you’re making the perfect choice for you and your baby. One of the most important things to consider is the refill bags for your pail. Some pails are compatible with any kind of bag you choose. But some pails will only fit their own branded refill bag, and this can be very expensive. If in doubt, choose a universal pail. When you’re changing your baby's diaper, you want a pail that’s easily accessible and doesn’t take too much effort to operate. The most common method of operation is the foot pedal, usually located at the bottom of the pail meaning you can operate the pail hands-free. Some pails have a one-handed lift lid or a drop hole. These can be effective but if you’re rushing around, drop holes and lids can cause a problem. A number of high-end pails come with air filters that can help trap odors. Filters are commonly made using carbon or charcoal, but these pails can be costly. An air tight seal should be more than sufficient for stopping smells from getting out. When shopping for your pail, make sure you select one that will fit where you want it to go. If you have a specific location in mind for your pail, measure it out first before you buy one. It is also important to consider how often you will be using the pail in the place where it will be set up, and how many times you want to empty it. Smaller pails have less capacity, so you will need to empty it regularly, but they fit more conveniently into a nursery. In some models, you may be able to add a fragrance to your diaper pail. This is similar to an air freshener, and some parents prefer pails that have this option. It is not strictly necessary though, as the air tight seal locks smells in effectively. Most of the danger experienced with diaper pails comes from foot pedal devices. If you have an older child, they may step on the pedal and knock the bin over, resulting in a smelly mess. 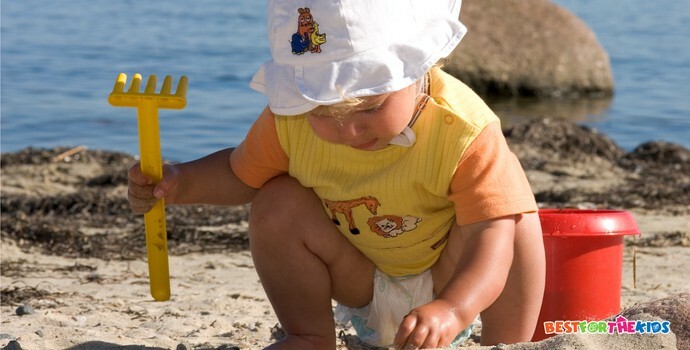 Consider a childproof diaper pail if you have toddlers or young children in the house. Diaper pails have been game changers when it comes to modern parenting. 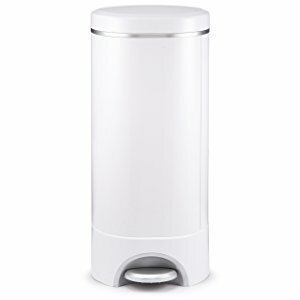 By investing in a high-quality diaper pail, you can save yourself from some unpleasant smells, and make sure that your baby's nursery is fresh and hygienic at all times.